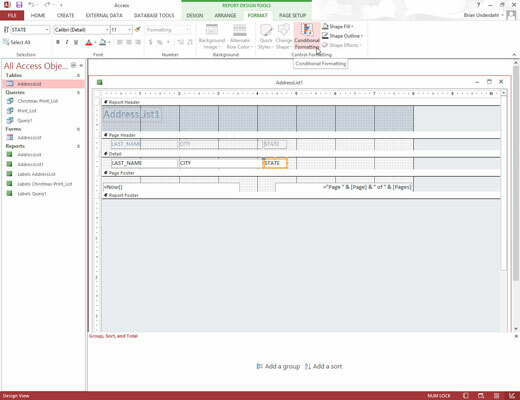 Select the field to which you want apply conditional formatting. 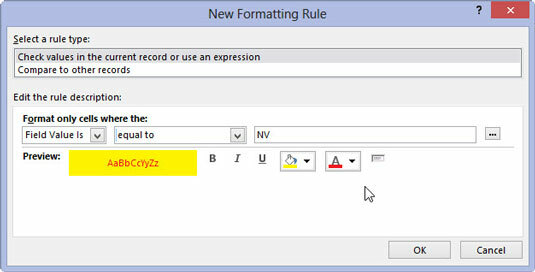 You can apply conditional formatting to a numeric or text field. 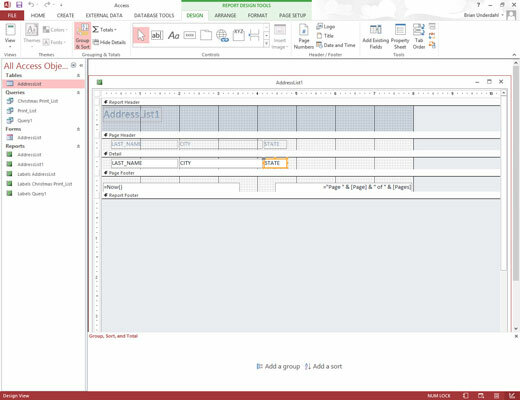 Click the Format tab and click the Conditional Formatting icon in the Control Formatting group. 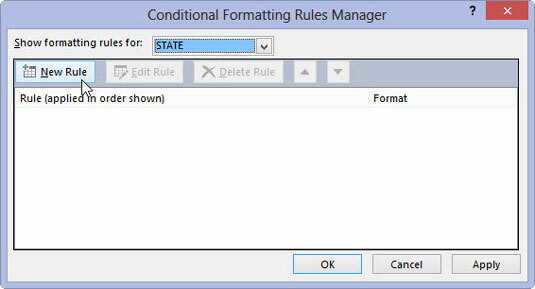 A Conditional Formatting Rules Manager dialog box appears. 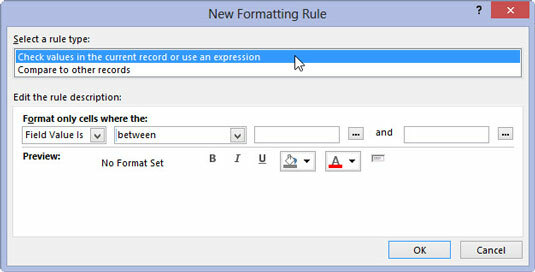 A New Formatting Rule dialog box appears. You can click the Edit Rule or Delete Rule button here to edit or delete a rule that you’ve created. Check values in the current record or use an expression (you can create a rule that only considers the value of a single field). Compare to other records (you can create a rule that examines the value of the same field stored in other records). Define your rule under the Edit the Rule Description category. Depending on the option you chose in the preceding step, the Edit the Rule Description category may display different options. Choose the type of formatting to display if the data in a field matches the rule that you defined. Click OK. 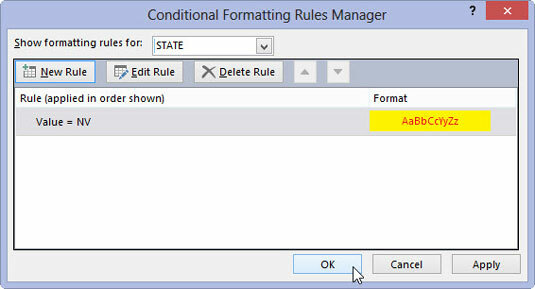 The Conditional Formatting Rules Manager dialog box appears again, displaying your newly created rule. 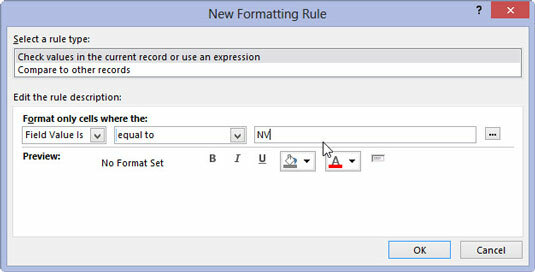 Access now displays your formatting changes in the field if it matches your defined rule. Click the Print Preview button. 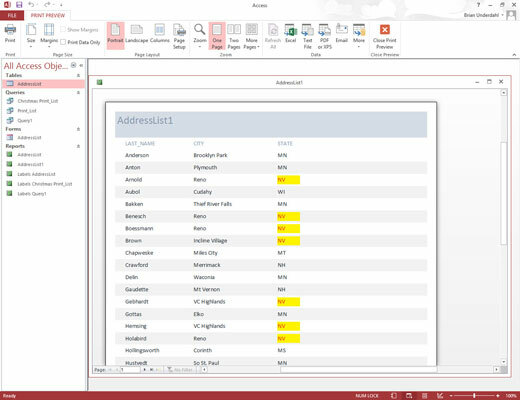 Access shows how your report will appear with the conditional formatting applied.